Important: This theme was retired in February 2014. Documentation is no longer being updated. After installing and activating the theme, go to Settings > Permalinks and click the Save Changes button, even if there have been no changes. This registers the custom post types used in the theme. Also go to Settings > Reading and set the front page to display Your latest posts if you previously had a static page as your front page. 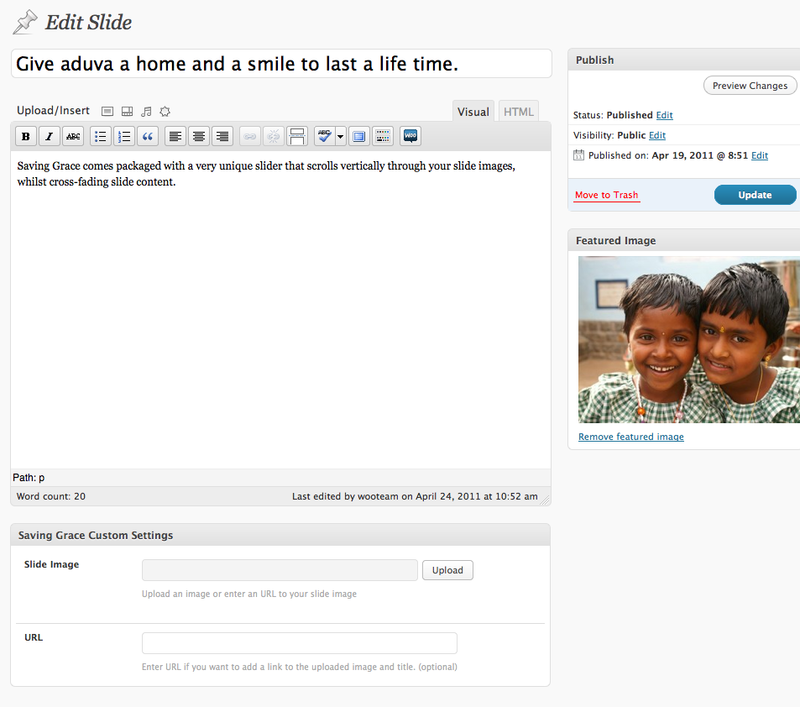 The homepage has a homepage slider, intro text, an optional donation module, and a widgetized sidebar. 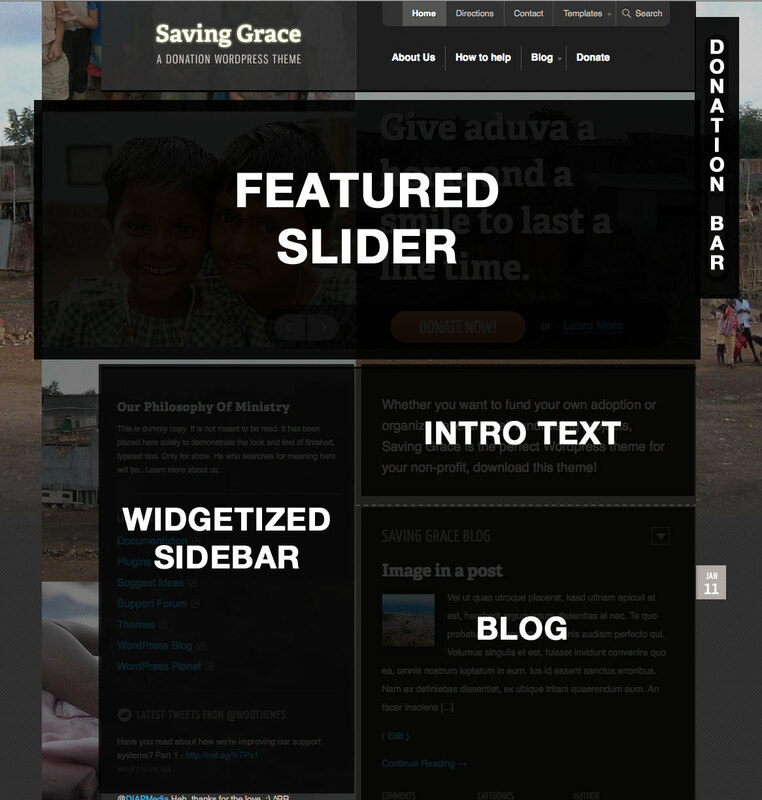 The Saving Grace home page featured area pulls the custom “slides” post type. The number of slides is set under the “Homepage Slider” theme option’s panel. You can set the animation speed, auto start and slide interval under the theme options. Enter a title and body content. Add an image in the Custom Settings panel or Featured Image. Image dimensions must be 480x360px or larger. 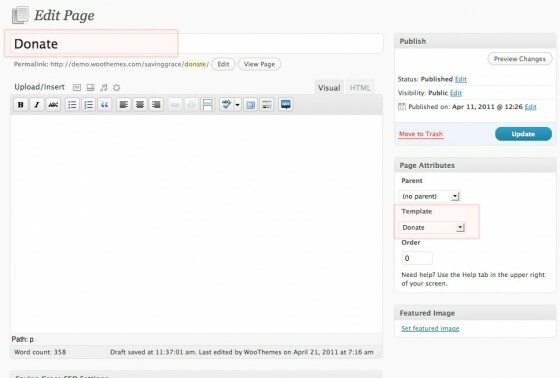 The Saving Grace “Intro” text on the home page can be simply added under the “Homepage” theme option’s panel in the WordPress admin. Adding the intro text in the theme option’s panel. Go to Page > Add New. 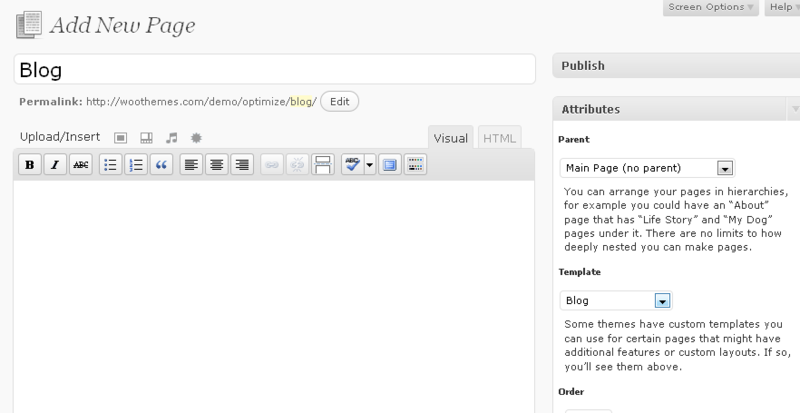 If you are unsure on how to set up a page template, see: Page Template. This theme includes a donation page template where charities and organisations can accept donations via PayPal. Enter a title, i.e., Donate. 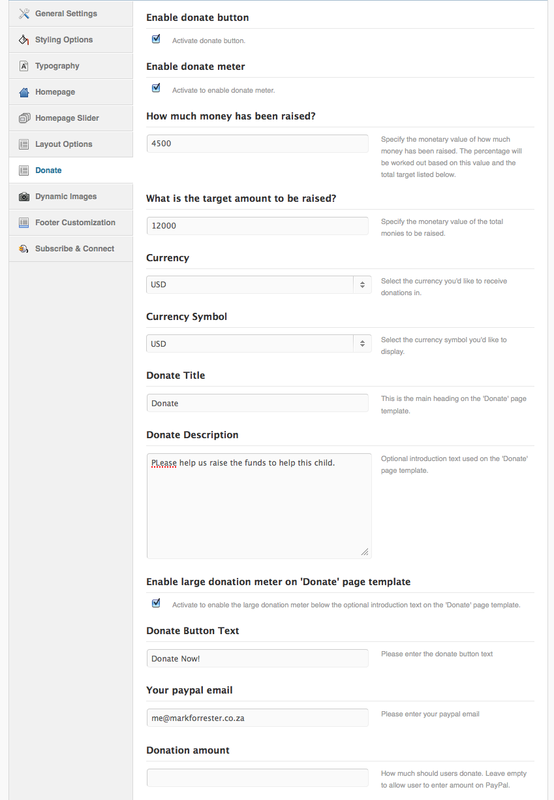 Go to the “Donate” theme options panel to set up your donation homepage module and the donation page template. You need an active PayPal account to take donations. Add the PayPal email address you linked to your account in the theme options. For the donation button to appear on the home page in the slider region, and donation progress meter to appear across your site, tick the checkboxes. 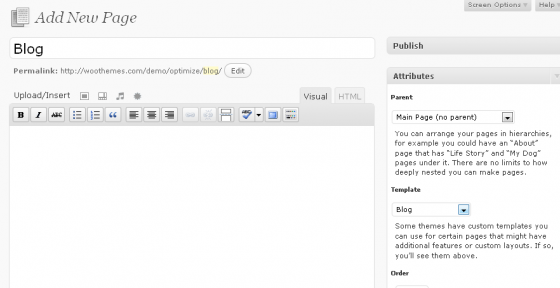 There are eight custom widgets you can add to the widgetized sidebar.